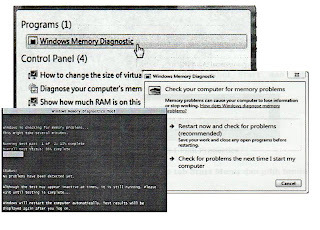 Windows memory diagnostic software used as memory damage tests on Random Access Memory (RAM) on your computer for possible damage. 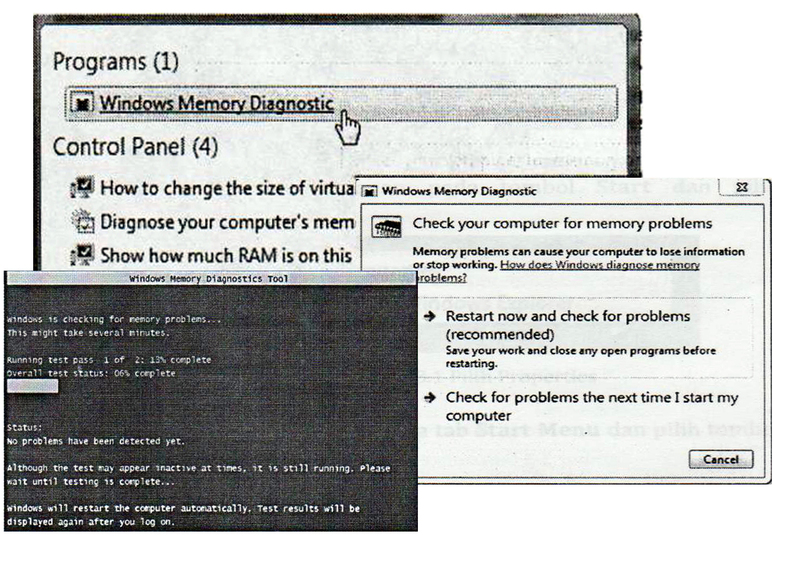 These diagnostic tests include memory devices. 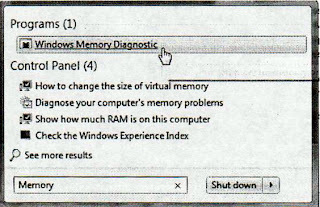 If you experience problems while running Windows, you can use the diagnostic to determine whether the problem was caused by the failure of hardware such as RAM or system memory your motherboard. 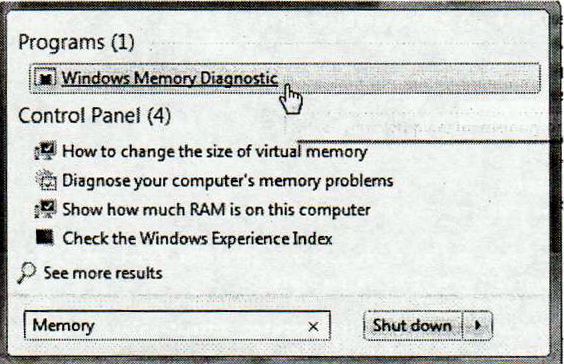 You click on the start button and type in the word memory. 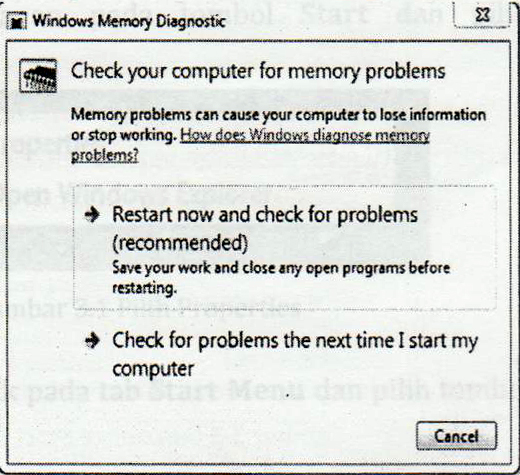 After that, click on the windows memory diagnostic. 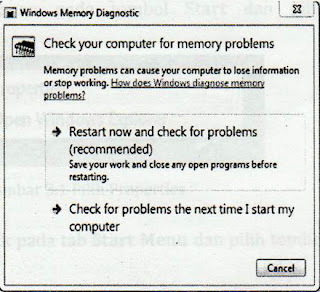 When a process is underway, windows will ask you to click on the restart now and check the problem. 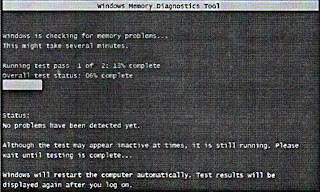 This test will take approximately 1 hour. 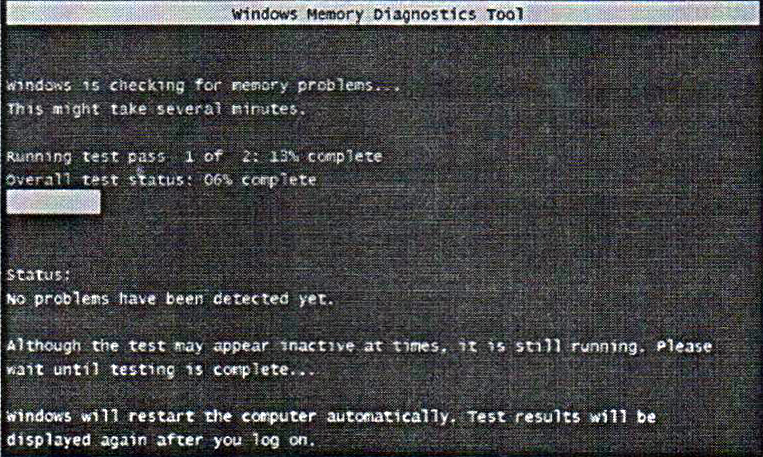 The results of the tests will be like the following display.